On the occasion of Zoya's store opening, Zee Business Online interviewed the CEO of Titan Jewellery, CK Venkatraman. The CEO spoke on a number of issues, ranging from the need for creating Zoya, even though Tanishq is already there, its rivals (or lack of it), to why one should go for Zoya jewellery. 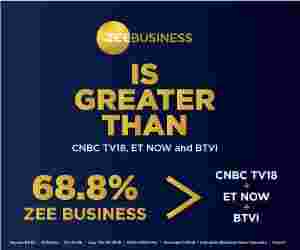 Rakesh Jhunjhunwala, wife Rekha have over Rs 7000 cr in this jewelry maker stock: Should you buy? 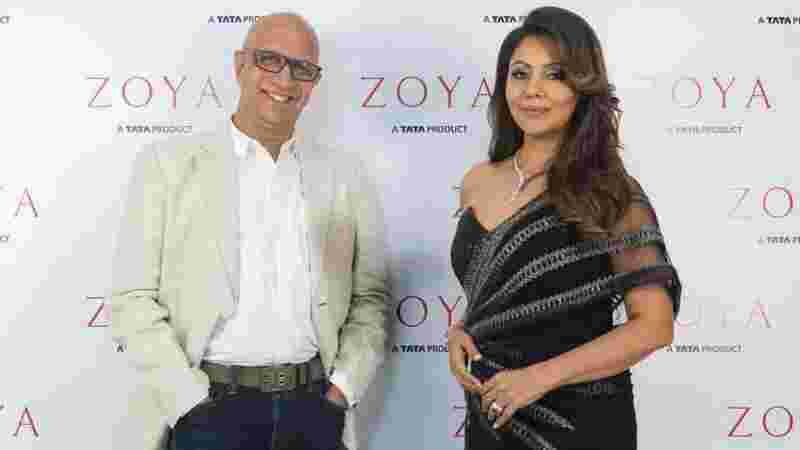 It was a star-studded evening in the national capital as Zoya, Titan's homegrown luxury jewellery brand, opened its flagship Delhi boutique in South Extension with Gauri Khan as its guest of honour. Also, a two-part fashion show by Zoya in collaboration with couturier Monisha Jaising showcased her designs and an array of Zoya’s collections. 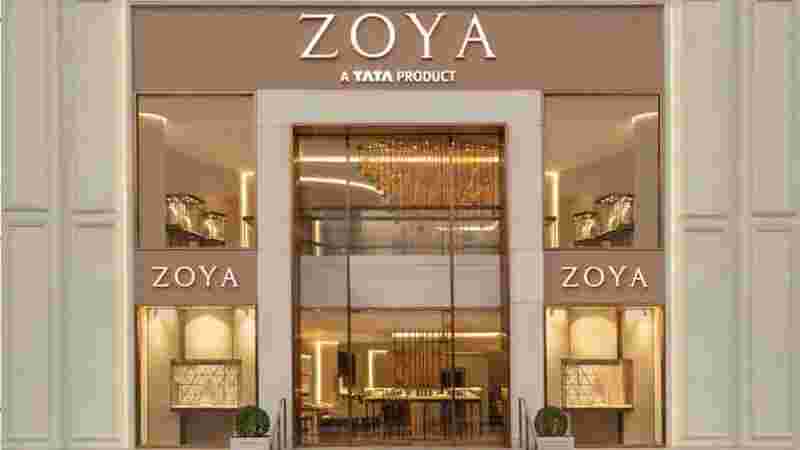 According to the company, with an increasing focus on luxury at Titan, Zoya is planning to open 8 new stores in the next couple of years. The company plans to enter several new key cities with Zoya and is investing heavily in building the brand. On the occasion of Zoya's store opening, Zee Business Online interviewed the CEO of Titan Jewellery, CK Venkatraman. The CEO spoke on a number of issues, ranging from the need for creating Zoya, even though Tanishq is already there, its rivals (or lack of it), to why one should go for Zoya jewellery. Why Zoya? What was the special need that brought Zoya into the world? After all, Tanishq was already there. In every category, segments are evolving. Tanishq today is a hugely successful brand; very large brand. It is bought by a couple of millions of customers. Luxury is about exclusivity. People who live in very beautiful houses, drive Audi and Mercedes cars, buy Rs 10,000-wine - in short, those who love luxury. Zoya is an answer for that segment of people. There is nothing really in India which satisfies that set of people. We believe that this market will certainly evolve, and we wanted to be ready for it. How do you plan to take on Zoya competitors? See, actually, honestly, there is no specific competitor for Zoya; I mean that not in a derogatory sense, but concept like Zoya is unique in India. Online channels are booming, so what're your plans for Zoya? It's easy to buy Rs 1 lakh iPhone online - because you have already seen it. But, Rs 1 lakh earring you won't buy online - you want to check tens of them and then actually buy it. What is the target you're aiming at in terms of revenue, from Zoya alone? I am not sharing that, but we will build the impact, the sales will come. See, the more important thing is the difference that we want to bring to this category. The difference is the creation of an overall proposition of luxury jewellery, which is rooted in a lot of eclectic global design stories. A lot of focus given to the material. The exceptional attention is given to the final piece. Will you promote local talent to build Zoya or bring the best of the world here? Right now the focus is on Indian craftsmanship as there is immense talent in this country. We could look at international craftsmen later. We are very keen to build Zoya into a very attractive and luxury jewellery brand. Favourite corporate leader: Infosys founder Narayan Murthy because of the huge transformational impact on India. The company he created changed India. Favourite politician from a CEO's perspective: N Chandrababu Naidu. Favourite budding industrialist/young face: Want to skip. Not familiar enough to say, honestly.